The above mentioned article describes a prospective case series evaluating the effectiveness, recovery time and adverse events associated with intravenous (IV) ketofol (mixed 1:1 ketamine-propofol) for emergency department (ED) procedural sedation and analgesia (PSA) in children. Multiple previous studies have shown the effectiveness of achieving moderate to deep sedation using propofol alone. 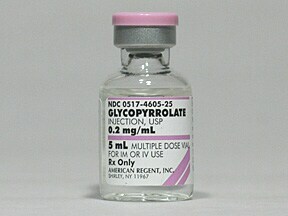 In addition, propofol is short acting and has unique anti-emetic qualities. The mean doses, as reported in the literature, required for sedation with propofol alone ranges from 2.8 – 3.5 mg/kg. However, as a pure sedative with no analgesic qualities, propofol has most often been combined with a narcotic analgesic, such as fentanyl and alfentanyl, when used for painful procedures. The main concern with propofol, with or without analgesics, is dose-dependent respiratory depression and hypotension. Ketamine, on the other hand, has the unique qualities of providing analgesia at low doses and very predictable “dissociation” at higher doses (typically greater than 1.0 – 1.5 mg/kg/IV). The main concerns with the use of ketamine is emesis (reported to be 8.4% in a recent meta-analysis), clinically important recovery agitation (reported to be 1.4% in a previous study), and laryngospasm (1.4% reported in a recent meta-analysis). The study rational was that the combination of ketamine and propofol would be beneficial in that the sedative effects of propofol would balance the nauseant and psychometric effects of ketamine. In addition, the combination would be both effective and safe in producing deep sedation for painful procedures due to the lower doses required compared to the use of either agent alone. Of the 219 children given this combination, sedation was deemed effective by the treating physicians and nurses in all of the patients. However, there was no objective measure of the depth of sedation, so it is unclear the true depth of sedation achieved in each patient. The median dose of ketofol was 0.8 mg/kg (range 0.2 to 3.0 mg/kg), with 96% receiving less than 1.5 mg/kg of each drug. This is less than the median dosages normally required to achieve deep sedation with either agent alone. With respect to recovery time, children receiving this medication had a median recovery time of 14 minutes (range 3 to 41 minutes), which is longer than the reported recovery time of propofol alone but shorter than that of ketamine alone (25-103 minutes reported in previous studies). Emesis did not occur in any of the patients, emergence phenomena requiring intervention occurred in two patients (0.9%), and airway interventions were required in 3 patients (1.4%, but none requiring endotracheal intubation). 1) There was no objective measurement of depth of sedation; 2) The mean age was 13 years, with only 10% of patients under 2 years of age receiving ketofol, so the effectiveness and safety in patients under 2 years of age remains uncertain; 3) The majority of the patients had two Emergency Department Physicians (EDPs) present for the procedures, which may not be practical in other settings. As such, no definitive conclusions with respect to improved ED flow or reduced costs can be drawn from this study. ; 4) This was not a randomized trial so, based on this study alone, no definitive conclusions can be made as to the improved efficacy of achieving adequate sedation of ketofol over other medications or combinations of medications, including ketamine alone, propofol alone or propofol with an opiode. There is also no mention of the relative and absolute contraindications of the use of dissociative doses of ketamine, especially active bronchospasm, airway abnormalities, increased intra-ocular pressure or increased intra-cranial pressure. As such, no definitive conclusions as to the improved efficacy of achieving adequate levels of sedation when using of ketofol over ketamine alone, or ketamine with other agents. As such, larger, multi-centered randomized trials are needed to support any conclusions as to the improved efficacy of this combination of medications; 6) The study is underpowered to draw definitive conclusions with respect to rare, but serious, adverse events. 1) In children over the age of 2 years of age, ketofol (mixed 1:1 in a single syringe), appears to be an effective combination in achieving adequate sedation for orthopedic procedures and lacerations (together accounting for 87% of the patients given ketofol in this study); 2) In this small cohort, serious airway events in children over 2 years of age seem to be rare and comparable to other regimens utilizing propofol and ketamine; 3) Vomiting occurs less often with ketofol compared to historical controls that were sedated with ketamine; 4) Hypotension occurs less often with ketofol compared to historical controls sedated with propofol; 5) The median recovery time is faster with ketofol compared to ketamine. This entry was posted in Article Reviews, Ketamine, Propofol on September 21, 2010 by DrFlood. How do sedation providers approach the child with a history of anaphlyaxis to eggs when it comes to the use of propofol? While most anesthesia texts and “experts” in the field do not think that egg-allergy is a true contraindication to the use of propofol, it still seems that many are reluctant to use it in the egg allergic patient. Propofol was originally formulated with the surfactant Cremophor EL, but a series of hypersensitivity reactions prompted a change in the formulation (36,71,72). Propofol (2,6-diisopropylphenol) is currently formulated in a lipid vehicle containing soybean oil, egg lecithin, and glycerol. The incidence of anaphylactic reactions with the new formulation is 1 in 60,000, although it has been reported to cause 1.2% of cases of perioperative anaphylaxis in France (73). A more recent report from the same group in France demonstrated that 2.1% of cases of intraoperative anaphylaxis are due to propofol (5). In a report of 14 patients with documented propofol allergy on first exposure, the 2 isopropyl groups of the propofol were thought to be the sensitizing epitopes (36). Isopropyl groups are present in dermatologic products and may account for anaphylactic reaction to propofol on the first exposure. In addition, there is a report of an anaphylactic reaction to propofol at the time of the third exposure to the drug (72). Phenol may have acted as an antigen and produced sensitization that led to an episode of anaphylaxis on reexposure. Most cases of drug allergy to propofol are IgE mediated, and specific IgE RIA and intradermal skin tests have been reported (36). Propofol is formulated in a lipid emulsion containing 10% soybean oil, 2.25% glycerol, and 1.2% egg lecithin. The egg lecithin component of propofol’s lipid vehicle is a highly purified egg yolk component (74). Ovalbumin, the principal protein of eggs, is present in the egg white. Skinprick and intradermal testing with propofol and with its lipid vehicle (Intralipid) were negative in 25 patients with documented egg allergy (74). The measles-mumps-rubella vaccine does contain small amounts of egg-related antigens (ovalbumin), which are grown in cultures of chick-embryo fibroblasts. However, the measles-mumps-rubella vaccine has been given to egg-allergic children without any episodes of anaphylaxis (75). Therefore, current evidence suggests that egg-allergic patients are not more likely to develop anaphylaxis when exposed to propofol. As is often the case, the science of medicine does not always correlate with the practice of medicine. Dr. Goroza surveyed the SPS listserve and the results of that survey are listed below. Of the 11 responders, only 3 would still give propofol & only if there was no prior reaction to the drug. The majority of the responders would not give propofol and would instead use (some would use more than one method): barbiturates (3 responses), dexmedetomidine alone (3), dexmedetomidine with ketamine (2), benzodiazepine (2), barbiturate with opioid (1) and ketamine alone(1). De Leon-Casasola et al. Anaphylaxis due to propofol. Anesthesiology. 77:384-386,1992. Hofer. Possible anaphylaxis after propofol in a child with food allergy. Annals of Pharmacotherapy. 37(3):398-401, 2003. It seems agreeable that the choice of not using propofol in these situations is driven by concerns over liability. The association is perhaps rare that I have yet to meet an anesthesiologist who has seen one. Please leave a reply below and tell us how you would handle this situation. This entry was posted in Propofol, Sedation Practice on June 15, 2010 by DrReynolds.